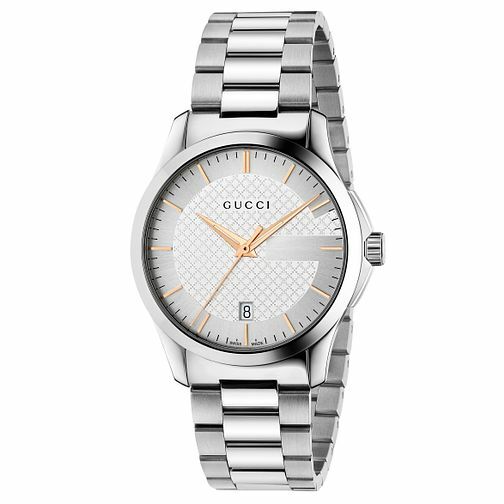 Gucci G-Timeless Stainless Steel Bracelet Watch is rated 4.8 out of 5 by 4. Rated 4 out of 5 by Anonymous from Good value for money Brought this for my brother as a wedding gift. He really liked it. It’s a nice design and perfect price. Rated 5 out of 5 by Anonymous from This product is very classy and very happy with it I really like the silver, also the face isn’t too big and clunky which I also like. Nice and slim.